B13 - Alchemist Rex in Belts, Buckles & Gloves is made for Women and Men and comes in Black and is made of Pewter material. It is marked as BeltBuckles and weighs about 1.00 lb. 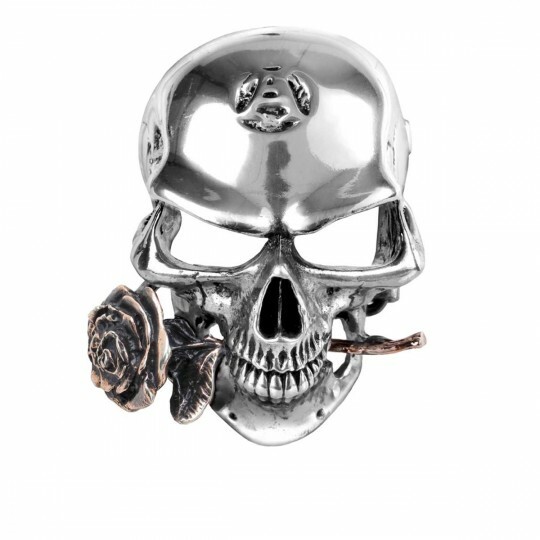 The king Alchemist skull is dominant with its highly polished cranium and solid cast bronze rose between its teeth. Width 4.49 x Height 3.39 x Depth 1.38 Approx.